A man died while scuba diving together with 3 friends at Lake Diefenbaker. The victim, 46-years old drowned after losing contact with his friends around 180 meters offshore at Danielson Provincial Park boat launch. After a call, the RCMP together with the local EMS and STARS arrived and located the man in the water in just a short while. Attempts to perform life-saving measures including CPR were unable to resuscitate the man. The importance of life-saving measures such as CPR must be stressed out especially those who engage in potentially-risky activities. According to RCMP, the death of the man is not in any way suspicious and there are no contributing factors such as drugs or alcohol. The importance of life-saving measures such as CPR must be stressed out especially those who engage in potentially-risky activities. 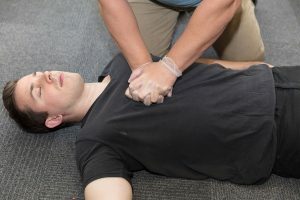 By enrolling in a first aid and CPR course, you will learn proper cardiopulmonary resuscitation (CPR) along with other first aid basics.